MS Dhoni: The Untold Story is a film that has been a reason for ripples among upcoming and much-anticipated films. Dhoni has joined hands with Sushant Singh Rajput, who will be playing the reel-life Dhoni, for the film’s promotion a lot recently. Adding a reason for all Chennaiites to get euphoric, captain cool will be here on Friday, the 23rd of September for promotions. As a highlight of his visit, he will also be meeting Superstar Rajinikanth! Earlier in an interview during the promotions of a premier league competition, he was seen stating that Rajinikanth holds the top 3 spots in his list of favourite Kollywood actors. 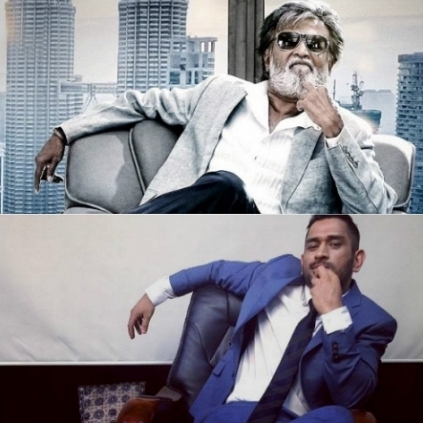 The ace cricketer will be meeting Superstar Rajinikanth as an excited fan, so it can be said. So who else is going to Poes Garden this Friday?